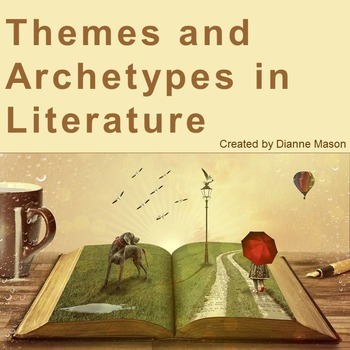 This free handout lists some of the most common literary themes as well as common symbolic and character archetypes. It's a convenient handout for the literature class or for a creative writing class. Download more free products from my store. Dianne Mason’s Free Products These will give you an idea of the quality of my work. Click on the green star next to my picture to follow me and receive a customized e-mail for the launch of any new product.